3 great, new releases this weekend at Khargo Tip Jars. Come and check them out in world or find them on the Marketplace. Keep your tips safe with the Animated Safe Tip Jar. Tip the jar to open the door and catch a glimpse of the cash! 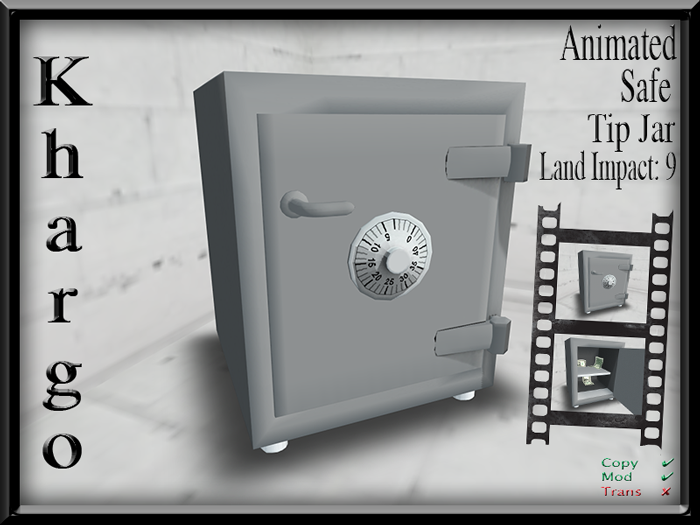 THIS NEW RELEASE TIP JAR (PERSONAL VERSION) WILL BE ON A SPECIAL DISCOUNT PRICE OF 149 L$ (NORMALLY 699 L$) FOR THE NEXT 48 HOURS IN WORLD. LOOK FOR THE SPECIAL COUNTDOWN VENDOR AT OUR TIP JAR STORE! All our Tip Jars are now available in both Personal and Log In versions. Both versions come with a wealth of easily configured options including split tips, adjustable text, particles and gift giving. 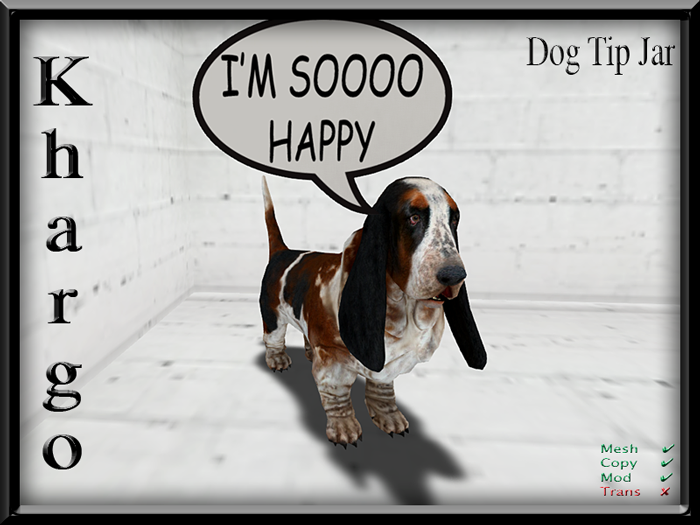 Happiness is a Basset Hound! A low land impact tip jar with a high cuteness factor! 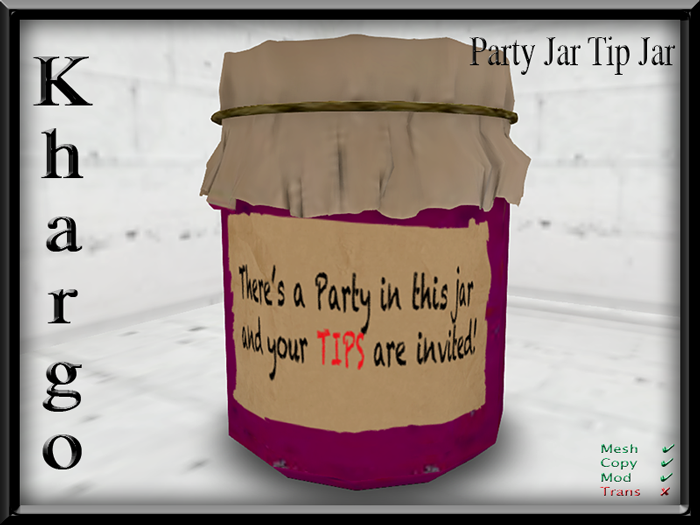 There's a party in this jar and your tips are invited! A simple tip jar with a great message.